Peppers are full of vitamin A, C, Iron, and potassium. Follow the article to know important points about growing pepper. There are two types of peppers sweet Bell peppers and hot chili peppers. 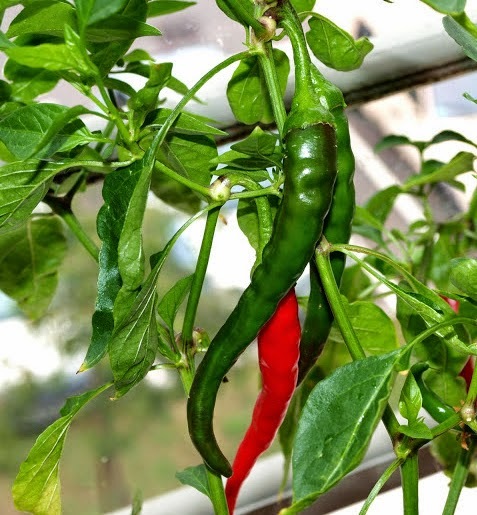 This article is all about growing Hot chilis. If you are interested in growing Bell peppers, check out our earlier article. The Chillies are hot due to the presence of a chemical called capsaicin which is present mainly in the area of the wall and around the seeds. They are very popular among gardeners. The chilies are actually very easy to grow. You can grow them both in the backyard or in the containers. Chili is a warm season crop like tomatoes. Ideal temperature for growing chilis ranges from 70 to 80 deg F during daytime and 60 to 70 deg F in nights. You can grow chilies both from seeds and seedlings. For seed germination you required a minimum temperature of 68 deg F. It requires at least 6 hours of sunlight daily so choose the place it wisely. Chilies require a lot of potassium in the soil. If your fertilizer or compost contain a large chunk of nitrogen and a very less amount of potassium, you might get a lush green foliage but fruit bearing will be a problem. So choose your composting ingredients (or fertilizers) wisely. You need to provide a lot of water to your plant. It is true that chilies don’t like to grow on swamps but they dislike dry soil even more. Use a good potting mix if you are growing chilies in containers. For growing chilis in the backyard make sure you have proper drainage in the soil. You can also add a cover of mulch to preserve water. It is for the betterment of the plant that you need to prune chilis it a bit from time to time. 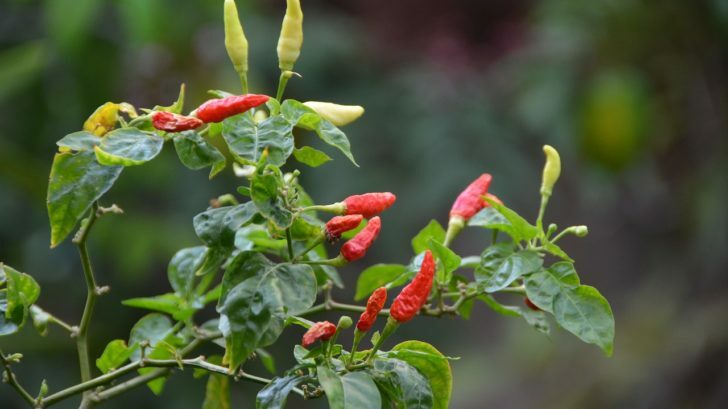 Chili plants have “not so strong” branches so it would be better to loose some weight of the plant. You should also provide some sort of support for the plant. They are a self-pollinating plant so you don’t need to worry too much about the pollination of the flowers. These are generally a threat to the plants when it starts growing new leaves. Aphids leave a sticky substance called honeydew on the plant. The best way to get rid of this problem is to remove them manually. In most of the cases, you won’t require any sprays or mixtures. It is a very common phenomenon and can cause the plant to wilt. Read more about nematodes before trying any step. This problem can be handled by using some organic sprays to the plant. In case the humidity level goes very high (in a close environment, like a greenhouse) the plant grows fungal disease and cause the fruit to rot. Make sure the place has enough light and air supply to prevent this problem. Peppers can be harvested by simply just plucking the fruit from the plant. Regular pickings ensure more fruits for the future. Select the green ones while they are still shiny and plump. You can also choose to pick them when they become red. If you have planned for flakes or powder leave them on the plant as it is till they dry. Use a sealed bag to preserve chilies. It will last up to one and half week if you store them properly in a refrigerator.